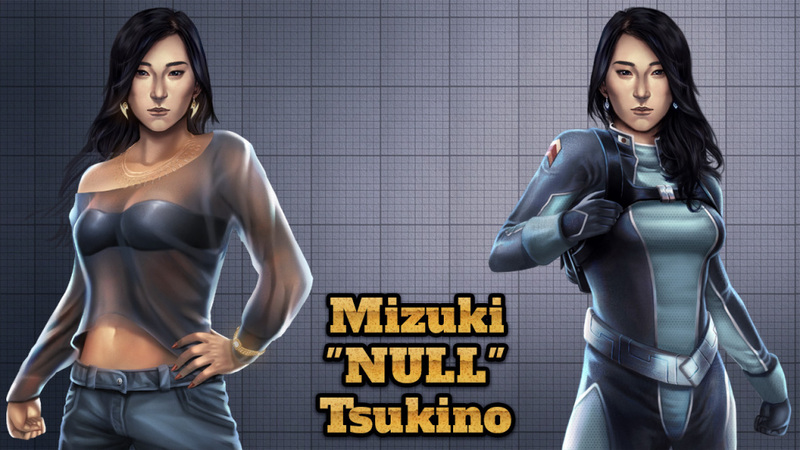 Time to met a new PSCD character: the hot japanese hacker Mizuki! At one time, Mizuki was considered the greatest threat in cyberspace. No target was safe when her avatar, a neon dragon, appeared wreaking havoc on corporate, criminal, or government networks. Not bad for a woman yet to see seventeen summers. However, despite her almost superhuman talent, she was eventually captured. In a secret court, she was offered two choices: either assist the Empire with her formidable computer skills, or spend the rest of her life in a primitive cell with nothing but rats for company. It is in military service Mizuki encountered the challenge she craved. Whether it was outwitting the Robobrains in their own cybernetic hives, or adapting to the Vauses’ fluidic thinking, Mizuki found her skills matching, or exceeding their own. This earned her the nickname Null, since her presence was never detected, let alone suspected. While she is the mistress of the digital world, Mizuki is less sure of herself in what she terms the meat world. After all, how can you trust what you can’t control? This isn’t to say Mizuki isn’t loyal. She’s had numerous opportunities to escape, covering her absence electronically, but when her comrades spilled blood for her, leaving was the last thought on her mind. Seasons Of The Wolf last Act/Season coming soon! This week I’ve worked on the last act, though as you may know if you follow me on twitter, I had already finished the main coding last month. So I am just retesting everything, the battles, the enemies (there are some really tough boss fights!) and in general that all the endings unlocks the intended way. I believe I will release this last act/season this weekend or maximum early next week, I’m just waiting to see if I get get some last missing images (but the game works already anyway). Keep an eye on the forums to know when is ready! that doing such LONG (really, SOTW is the longest game I’ve EVER MADE!! lol) RPGs it was a real massacre. I’ve worked on it 1 year, of which almost 8-9 months full time which for me is a lot! Think that I was reusing Loren’s engine, so in theory I only had to do the story and stop, but instead I’ve added countless new features!! So, this game better sell well, MUCH more than Loren, because otherwise it really wasn’t worth it. I liked doing it, but since I run a business I need to take that into consideration as well. I’m not sure if players really appreciated the efforts. Don’t get me wrong I got great support from fans as always. But it seems (might be just an impression) that players would have preferred less fights, less complexity and more story/scenes. Sort of the opposite direction I went with SOTW, so as you can imagine I’m a bit worried! But this only a theory for now, I’ll need to see once the game is out. Because of such considerations, and based on how SOTW will do, will decide how to take the challenge to make the future RPGs. If I see that all the insane effort I put to make the gameplay of SOTW so detailed didn’t make the game more appealing to players, I think will need to do things differently. But in general, I might do things differently even if SOTW did well, just to rest a little 🙂 Playing Banner Saga, and other indie RPGs, showed me that you don’t necessarily need to have 8+ characters with 15 skills each, huge battles 6 vs 6, and so on. In summary there are other ways to make a story-based RPG interesting without the need to make it long, super complex or add a lot of features. This entry was posted in beta demo, development screenshot, Planet Stronghold: Colonial Defense, roleplay games, Seasons Of The Wolf, sneak peek, strategy games. Bookmark the permalink. I’ll be buying it regardless. I hope Seasons works out well for you, though. Will it be on Steam right away? I, for one, will be buying this as soon as it’s for sale and pushing it mercilessly on all of my friends. I don’t comment much, mostly because I forgot both my password and username almost immediately after registering, but I’ve been lurking around the forums a lot for the past year and I know how much effort you’ve put into this so I hope it pays off. Wow, sounds like you worked really hard on this one! It seems this game may have more challenging, or at least, more complex gameplay. Is it possible to put it on easier difficulties? 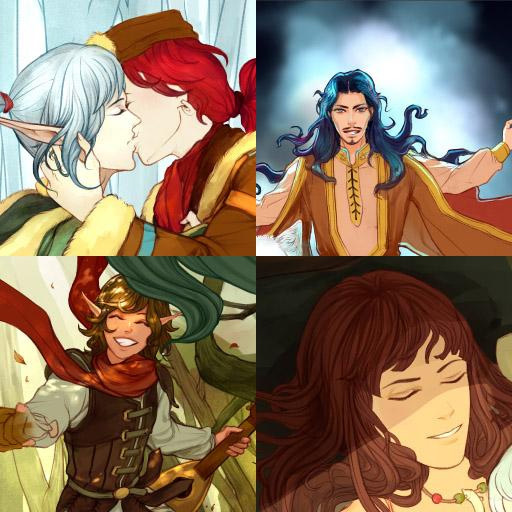 There also seems to be less love interests in this game than your other games in the past (especially Loren and its sequels)? There are some issues with having a long game with a lot of fights. You really need the fights to be different from each other, and your combat system needs to be entertaining enough for fight #1354 to be (almost) as interesting as fight #3. For me at least the combat system in SotW is not robust enough to reach that goal. I know you’ve talked about doing isometric maps and that kind of thing some time in the future, and that would certainly change things, but it’s not what we have right now. Right now, the combat system works for simulating fights, but it’s limited to 2 sides standing there, beating on each other. It’s cool to have 8 characters with 15 skills or whatever, but you won’t end up using all that. Once you’ve got all your characters and have found an effective way to beat that other side, you can win the next 1000 fights almost the exact same way. Thus, more fights or longer fights simply become an exercise in repeating the same clicks over and over. This is why fatigue sets in at some point in the game. It’s not about the variety in enemies, I know there are a LOT of different ones, but no matter how they look, you basically beat them the same way once you’ve figured out what’s effective and what’s not. I applaud what you’ve done with flashback quests featuring fewer characters and forced setups, these are the times when combat at least has a good chance of becoming interesting, but in the main game I had to play on Easy difficulty because the fights were simply too repetitive, and I quickly got bored with them. I can clearly feel the lack of such things as advanced positioning and facing, alternate victory conditions, terrain effects, movement ranges, areas of effect and what have you. This battle system is a good enough framework for combat that supplements a visual novel, but I don’t find it good enough for a fight heavy RPG with a story to support it. If you see the difference. Now it’s not that this isn’t a good game. I’ve enjoyed it a lot (! ), but I think that the focus on having many fights is not the best way to go with this particular battle system. Hehe yes some players definitely loved as it is (since you visit the forums you know who I’m talking about). As a player I feel the same as you, but in general, EVERY game in the long run becomes tiring. Even masterpieces like XCOM, with a tactical map, after you play the 100th battle, become a bit “boring” (of course it’s a much better game than mine, was just an example). Having played a number of RPGs with frequent random encounters, the number of battles isn’t so bad in the grand scheme of things. The battles are little on the long side, which may turn off people who are not that interested in the combat.